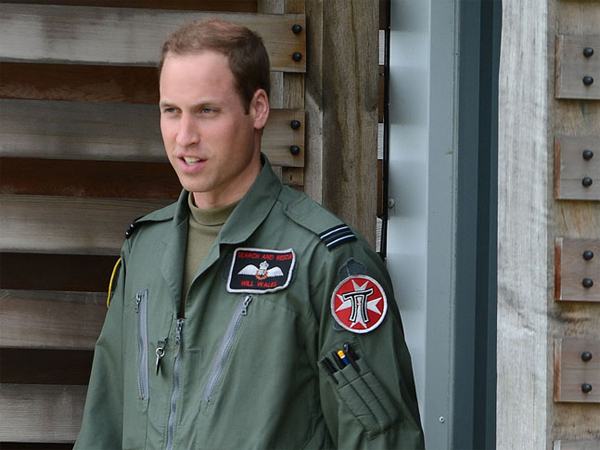 Britain's Prince William has been working as much as possible before he goes on paternity leave. The Duke of Cambridge ? who’s set to welcome his first child into the world with his wife, Catherine, Duchess of Cambridge, on 13 July ? has been squeezing in as many shifts as he can as an RAF search and rescue pilot in Anglesey, North Wales, before he takes time away from his busy schedule to look after his newborn. A source told E! News, "William worked Saturday and Sunday and is trying to get in as many shifts as possible before he goes on paternity leave. He wants to work as hard as he can to help everyone out. He has not slowed down at all. He's a really hard worker." The duchess is allegedly worried the prince will miss their baby's birth, and despite planning to spend most of his time at Nottingham Cottage, the couple's home in the grounds of London's Kensington Palace, William's job is unpredictable and the humble heir has previously insisted he’d never ask for special treatment from the RAF. A source said previously, "Kate's worried he might not be around. She's feeling self-conscious because it's uncharted territory for both of them. "It's an exciting and nervous time, but she knows that he'll do everything in his power not to let her down." However, William has reportedly asked if a helicopter can be on standby to whisk him back to London if Kate were to go into labour while he's away.